His Excellency, Mr. President Commander–in– Chief of Armed forces, Federal Republic of Nigeria, Muhammadu Buhari, GCFR, approved the re – constitution and appointment of Chairmen and Members of the Governing Councils. The Councils were inaugurated by the Honourable Minister of Education, Mal. Adamu Adamu on Thursday 25th May, 2017 at B.O. Ukeje Conference Hall, National Commission for Colleges of Education, Plot 829, RaphSodeinde Road, CBD, Abuja by 10.00am. Dr. Bello Yusuf Lafiagi assumed duties as the Chairman of the NDLEA in October 2000; the general belief was that drug lords in Nigeria were in for a tough time. Lafiagi had the status of a veteran intelligence officer who has been everything in the Nigerian intelligence hemisphere. He had served as a policeman and a pioneer of the National Intelligence Agency and the State Security Service before he was enlisted in the drug war. He hails from Kankia Local Government Area of Katsina State and he was born on the 2nd of February 1952. In his much younger days, Lafiagi was a great sportsman as he represented his state in events like hockey, basketball and cross country running, in which he was the North Central State champion. He joined the Nigeria Police Force at the Police College, Ikeja while he had his security intelligence training at the SSS Training School, Lagos. That he was well trained as an officer is evident in the fact that he is a product of the Institute of Strategic Studies, Cairo, Egypt, where he trained in 1975. He also trained at the National Intelligence Academy, Fort Lauderdale, USA in 1978 and at Nigeria's famous National War College. The dedicated officer in him saw him becoming the Deputy Officer in Charge, Abuja SSS Command after which he became the Director of the State Security Service for the Katsina, Kano, Borno commands, as well as the National Director of Operations and later training. With many years of service in intelligence behind him, many saw him as the man that could surpass the achievements of General Musa Bamaiyi in his days as the Chairman of the NDLEA. It was also said then that he would restore the respect commanded by the NDLEA and he lived up to that billing when he assumed office. Six months after his appointment as Chairman, Lafiagi reversed the 7 year de-certification of Nigeria by the United States. It was therefore not surprising to many when the former NDLEA chairman emerged the Secretary General, and later, the first African President of the European Working Group of the International Drug Enforcement Conference in May, 2004. His achievements then did not go unnoticed: he received honours both at home and abroad on account of his streak of successes at the agency. They include two National honours of the Order of the Niger and the Officer of the Federal Republic. The belief is still held in some quarters that Alhaji Lafiagi was the one that professionalized the NDLEA. He also commanded respect for the way he refocused and restructured the organization in order to redeem Nigeria's image in the international community. One of his major achievements in office was the interception of a huge quantity of pure cocaine weighing as much as 60 kilogrammes and with a street value of about N1 billion at the Tin Can Island Ports years ago. NDLEA officials reportedly turned down a N50 million bribe to effect the seizure. Many officers of the NDLEA would remember that Lafiagi gave the drug war a human face: in December, 2002, he organized a merit award ceremony where past Chairmen of the Agency and deserving officers and stakeholders in the drug war were honoured. 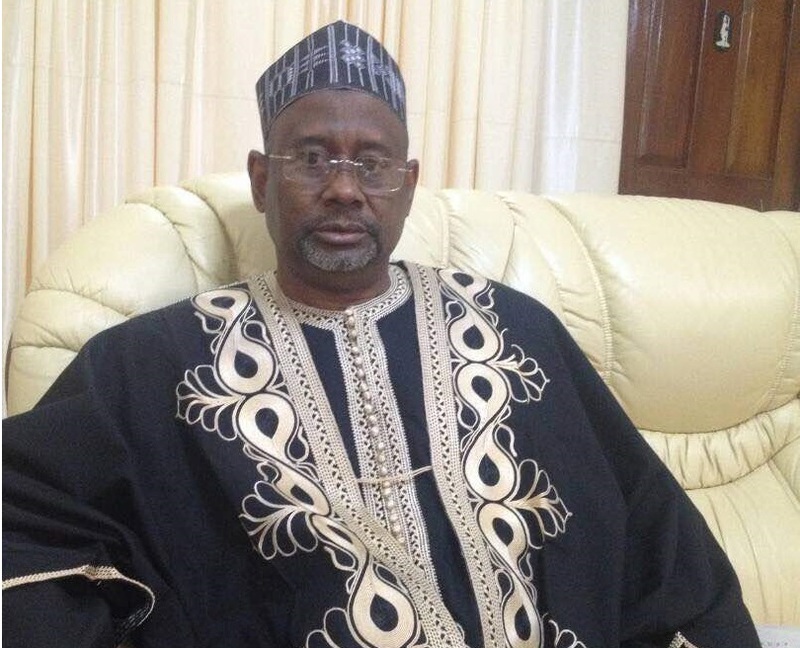 President Muhammadu Buhari has approved the appointment of Dr. Bello Yusuf Lafiagi as the chairman governing council of Federal College of Education, Zaria The Minister of Education, Adamu Adamu, made this known in a statement on Friday April, 21st in Abuja. According to him, the boards are statutorily responsible for the governance and overall policy formulation in the institutions concerned. He stated that in making the appointments of the chairpersons and members of the respective boards, the president, apart from ensuring geopolitical spread, was also guided by the stipulated requirements for such appointments. He noted that the requirements were in each of the Acts establishing the institutions, adding that appointees were required to, in addition to other requirements, be people of impeccable integrity, with reasonable commitment to teacher education.